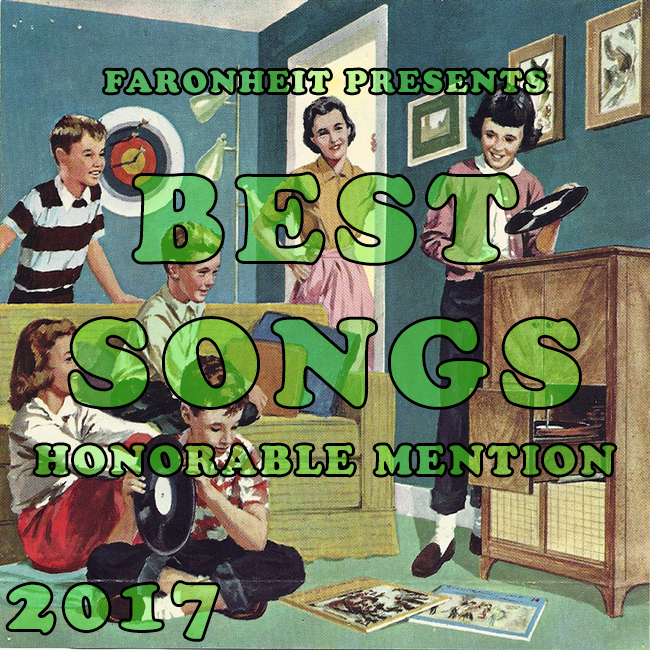 This Top 50 Songs list is not organized in any other way than by perceived order of excellence, so when you have a look at the set of 10 below, you may be surprised at how thematically related almost all of them are to one another. It was a total fluke things worked out like that, and in fact I didn’t even notice myself until writing up this introduction. The overarching theme is love, whether you’re falling into it, out of it, or somewhere in between, which is a subject matter as old as music itself. I just looked it up, and apparently about 60% of all songs written today are about love, so I guess the similarities aren’t all that shocking after all. Anyways, let’s get right into it, shall we? 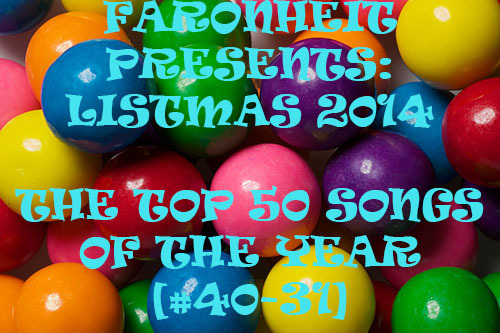 This freight train keeps rolling on with #40-31 of the Top 50 Songs of 2014! Oh, and in case you missed it, here’s #50-41. 90% of double albums are failures. In more recent years, everyone from Foo Fighters to the Red Hot Chili Peppers have attempted to show off creatively by unleashing multi-disc efforts. Some claim the music is all thematically sound, tied to a concept or something else, and therefore entirely necessary to extend beyond your traditional single album length. Others say they went into the studio and got far more recorded than anticipated, and because everything was so great, instead of cutting tracks they just left it as-is, bleeding it out into dual records. You’ve also got a band like Radiohead, who made “Kid A” and released that, then followed up 8 months later on with “Amnesiac”, essentially more new songs from those same sessions but contextually different. A staggered release schedule forming two separate albums tends to be the smarter move, particularly in this day and age when albums are largely down for the count and singles reign, the attention span of music fans growing increasingly shorter by the day. Still, there is the occasional double album that works, generating enough positive response to go down with the status of “legendary”. We’re talking Pink Floyd’s “The Wall” or the Smashing Pumpkins’ “Mellon Collie and the Infinite Sadness”. It was reportedly that Pumpkins record which served as the main inspiration for M83’s main man Anthony Gonzalez to craft his own double album “Hurry Up, We’re Dreaming”. This may be one of the worst times in music trends to unleash 73 minutes of music intended to be heard in one sitting, but let’s just be thankful somebody has the balls to keep trying anyways. The first thing you look for in any double album is filler. Instrumental tracks? That’s typically the first sign of filler, but if you know M83 then you also know they do a fair share of instrumentals on their single disc records. Their electro-synth sound is built to where instrumentals can be not only welcome, but sometimes encouraged. One listen to “Dead Cities, Red Seas & Lost Ghosts” will teach you all you need to know about M83 and instrumentals. There’s somewhere around a half dozen instrumentals spread across the 22 total tracks here, and almost all of them are wholly engaging or serve a particular purpose other than apparent filler. This isn’t a record with an overarching theme or concept holding it all together, outside of just a generalized dream state it otherwise seeks to achieve. Yet there are so many big pop songs and dramatic ballads that transitional pieces and more minor moments are almost required as balance. “Train to Pluton” or “Fountains” may not be the most exciting or brilliant pieces of music, but they are fully functional set-up pieces and never really hurt the overall pacing that gets established. You can also look at moments like “Where the Boats Go” and “When Will You Come Home?”, the former which aids the adjustment from the red hot “Reunion” into the massive drift that is “Wait” and the latter which serves as the start of a trio of songs that effortlessly blends the first disc with the second. Long time fans of M83 should automatically feel comfortable with “Hurry Up, We’re Dreaming”, as the 80s synth-pop motifs continue to permeate everything Gonzalez touches. That’s his thing, crafting a soundtrack to an imagined version of his teenage years. The last record “Saturdays=Youth” felt like musical accompaniment to a long-lost John Hughes film, and while there’s still some resemblance to that on the new double album, it comes across as far less cinematic in nature. That doesn’t mean it’s any less expansive or epic though, as it’s tough to call 74 minutes of music minimal or small. But those bigger, arena-style melodies were explored in a similar fashion on “Dead Cities, Red Seas & Lost Ghosts”. To bring out the full M83 past album retrospective, fans of “Before the Dawn Heals Us” will find the darker, more urban pop of that record bearing an influence here as well. Darkness would be a theme on this record, as any record with the word “dreaming” in its title hopefully implies sleeping and night time. Despite all this looking back providing a “complete picture” of what M83 has been all about, there’s still the future to be concerned with. In response to that, Gonzalez has taken to expanding the number of instruments on this record to include the occasional saxophone (“Midnight City”) or flute (“New Map”) while pushing his own vocals into entirely new territory. Past singles like “Kim & Jessie” or “Don’t Save Us From the Flames” provide great reference samples featuring Gonzalez keeping his vocals restrained at an almost whisper-like level. It becomes apparent from the very first track on the new album, the aptly titled “Intro”, that those days of calmly reserved, passive singing are over. Gonzalez’s voice may not be the most impressive thing when he’s belting out songs at full volume as his newfound range and key reveal some limitations, but you’ve got to give him credit for laying it all out there. He sounds a full octave higher than he used to, now fully up-front and brimming with confidence, taking the reins like he’s ready to conquer the world. For once his singing matches the scope of his arrangements, which is probably why cuts like “Midnight City” and “Steve McQueen” also make for some of M83’s best songs to date in a catalogue dense with highlights already. If you’re not prepared for it, “Hurry Up, We’re Dreaming” might seem like a chore to listen to from start to finish. There’s so much material to digest that it can be a little overwhelming at times, making it that much harder to become enraptured with important moments because there are quite a few. To Gonzalez’s credit he spreads them out fairly evenly to continually engage the listener for the duration, though the first five tracks of each disc can feel like a pileup of pure sonic delight. There may not be a storyline or abstract concept linking these tracks together, but like the two halves of “Mellon Collie and the Infinite Sadness”, each separate disc has a sonic counterpart on the other. Consider them then like fraternal twins – different, but inextricably linked to one another. The more carefully you listen, the more obvious it becomes. It would seem then that going the double album route has worked out remarkably well for M83. Count this was one of those rare cases where a multi-disc effort is worth the time and money you invest in it. There are not really any bad songs in this bunch either, and even the child’s spoken word moments of “Raconte-Moi Une Histoire” can’t derail the momentum this beast generates for itself. Will it go down in history as one of those rare double albums that still gets talked about 5, 10 or 50 years down the line? Probably not, if only due to technology. Up until the early 00s, album releases were regarded as events, and people’s options were confined to physical mediums such as vinyl, cassette tapes and CDs. You couldn’t really skip any tracks on The Beatles’ “White Album” because at the time that luxury didn’t exist. With the advent of the digital era, not only are people skipping or cherry picking, but access to music itself has become so fluid there’s far more music to take in than any one person can even begin to digest. Hence the rise of the single, so we can listen to that song and get on to the next artist. But here’s a piece of work that while created today is distinctly 80s in sound and scope. If you’re a child of the 80s or earlier decades, that’s something you can understand, even as you may have a hard drive filled to the brim with other music. Calm yourself down and set aside 74 minutes to take in “Hurry Up, We’re Dreaming” at least once in full. Hopefully it will speak to you and maybe even reinstill a faith in the long player. The death of the album (single or double) has been greatly exaggerated, and M83 makes for some great evidence in support of that. Now if you’ll excuse me, I’m going to try and find the exact time when this album and the film “The NeverEnding Story” sync up perfectly. In some respects, it’s helpful to have a dictionary on hand when listening to Zola Jesus. Essentially the moniker under which Nika Roza Danilova operates, Zola Jesus has a tendency to use big or scientific words for song and record titles. Last year, she released the “Stridulum” EP and an expanded version of that which was lovingly called “Stridulum II”. The title is remarkably obscure to find a meaning to, but reportedly it’s a Latin word that means the sound a bird or an insect makes when rubbing its wings together. The vocabulary fun continues on the new Zola Jesus record “Conatus”, the title of which is another Latin term referring to the inclination of a thing to continue to exist and enhance itself. More on that later. Other fun track titles on the new record include “Hikikomori”, a Japanese word meaning a reclusive person, and “Ixode”, which is a genus of hard-bodied ticks. 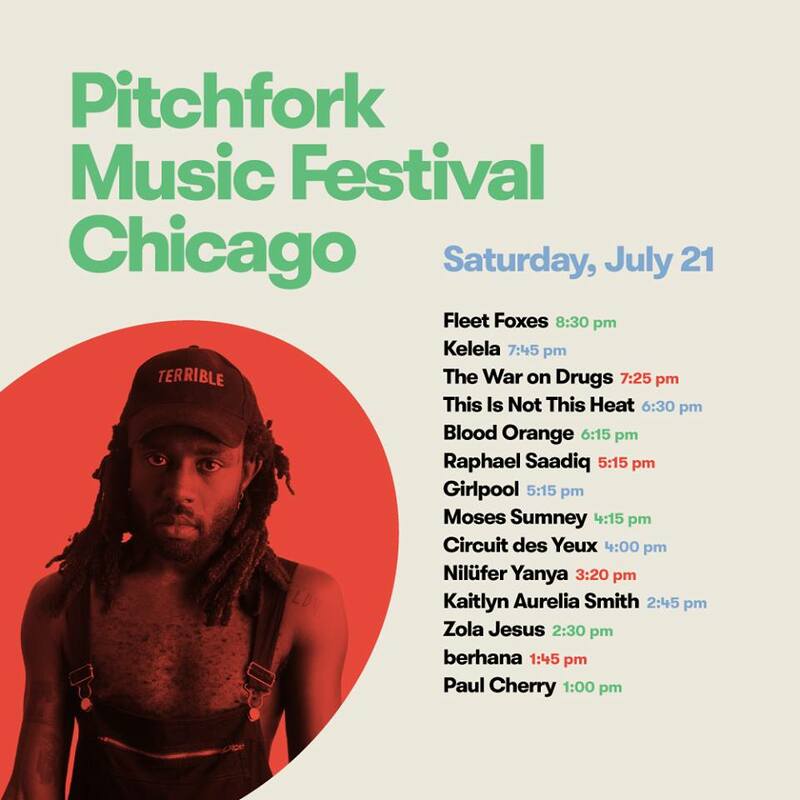 Let it be known that Zola Jesus is doing more than just schooling you in dark pop melodies. Do you need to know the deeper meanings behind these titles in order to fully understand what they’re trying to accomplish? Nah. It’s likely that Danilova simply chose those words because they look and/or sound cool, not because they had an influence on a particular sound or lyric. Don’t write the record off as somebody trying to sound smart to mask glaring idiocy either – “Conatus” excels no matter if you’re using 10 dollar or 10 cent vocabulary. If you’re familiar with past Zola Jesus efforts, “Conatus” comes across like a slight upgrade in a number of ways. Her sound is often described as gothic, with strong pop sensibilities and heavy synth/industrial tones. If Lykke Li and Natasha Khan (aka Bat for Lashes) were to have a blonde-haired musical baby, Zola Jesus would be the result. You could say the same thing about Siouxie Sioux and Kate Bush. It’s also a little surprising what with her similarities to these other pretty popular acts that she isn’t achieving that same level of success. Perhaps the new record will change that. The arrangements are bigger and more dramatic than ever, and Danilova’s voice is much clearer and up-front compared to past recordings. She belts it out to the rafters with some tour-de-force singing that is highly emotional and passionate. That sort of power comes from being a trained opera singer, even if the style of music she makes is pretty far removed from your traditional opera. After the echo-laden, electro-glitch minute-long “Swords” provides a lovely intro to the record, “Avalanche” pairs heavy drum machine beats with ominous synths. It is by no means a thrilling, club-ready hit, and its eventual descent into a capella vocals during the final minute very much keeps to that mentality. Not every album needs to start in a fun and or even commercially viable fashion, and the first two tracks are more darkly beautiful than they are easy to like. That’s only a problem if you choose to make it one. Things go industrial on first single “Vessel”, and amid the electro-squelches and heavy piano, you can’t help but feel that Trent Reznor would greatly appreciate the track. The verse-chorus-verse structure of the track also goes a long way towards making it more likable and catchy in the face of abject oddity, particularly as the track dissolves into chaotic static in the final 45 seconds. The pulsating synths of “Hikikomori” are paced briskly enough to make the track a potential club hit, even as it wallows in despair the entire time. It’s just the beginning of a remarkably energetic midsection of the album, one that slowly moves out of its depressing funk and into something a little warmer and a little brighter, though Danilova’s intensity and focus never really lets up. “In Your Nature” is fascinating in particular for Danilova’s wounded and vulnerable vocals, along with its liberal use of strings, which aren’t as widely used across the rest of the record. The saddest moment on “Conatus” strikes right near the end, where the piano ballad “Skin” sounds a whole lot like somebody hitting rock bottom. When Danilova sings, “I’ve had enough”, she emotes it with such pain that it’s not hard to believe she’s truly given up. That pain finally overwhelms her completely on closing track “Collapse”, with a trance-like synth dominating the melody, she keeps coming back to the line, “It hurts to let you in”. Yet in spite of the agony it causes, she still surrenders herself over to it because it provides relief. Call it self-abuse if you like, but sometimes we all need to let our dark sides have free reign to keep us sane. Where “Conatus” ultimately winds up in trouble is in commercial viability. No, easily likable music is not a requirement for success nor does it make a record better or worse. The moody vibes that dominate this album are largely offset by strong beats and interesting melodies. It’s the structure of the songs themselves that feel formless at times that bring a very wandering nature to the record. That’s funny because this is the first Zola Jesus album that exudes confidence and power, and the first where Danilova seems to fully know what she’s going for. There’s a glue that makes “Conatus” feel like a whole thematic journey from darkness to light to murky resolution, but there are missing chorus detours and unbalanced verse dark alleys on that path providing the occasional mixed signal. For the most part though, this record shows growth for Zola Jesus. It is, as the Latin word title of the record means, something that has the inclination to continue to exist and enhance itself. This might not be the work that finally graduates Danilova to the big leagues of the darkwave subgenre, but she’s certainly on her way.